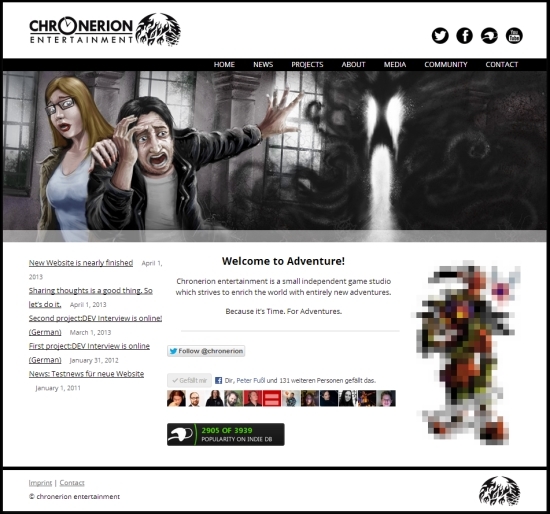 Thanks to the great work of Andi Teufel (Devils Heaven), the new chronerion entertainment website is now almost finished! All functionalities are implemented and working, now the content (artworks, texts, translations) needs to get finalized so the website can go online as planned on 25.05.2013. 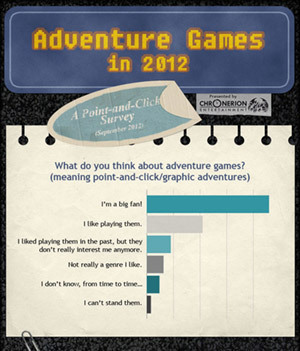 From today on our “Adventure Games in 2012” survey is available in English as well! The German version (“Adventure Games im Jahr 2012“), which has been online since 13.11.2012 can be viewed here. Both versions of the survey and more surveys in the future can be viewed on the “Surveys” page.